Inventec Group actively expands output of solar cells (photo courtesy of UDN.com). Inventec Group, a Taiwan-based ITC (information and communication technology) conglomerate with Inventec Corp. as the flagship firm, decides to put aside NT$2 billion (about US$62.5 million) to help its affiliates expand output of solar cells this year. The investment was confirmed by Inventec Group's chairman, Richard Lee, at an investor conference held June 20, which is believed to enable the group's photovoltaic subsidiaries, namely E-Ton Solar Tech Co., Ltd., Inventec Energy Corp. and Inventec Solar Energy Corp, to keep growing in the short term after turning profitable last year. With the output-expansion project put into action, Lee pointed out that the group's overall output of solar cells is expected to shoot up to 1.6 gigawatts this year. Later, the group will also invest in boosting capacity of solar modules. 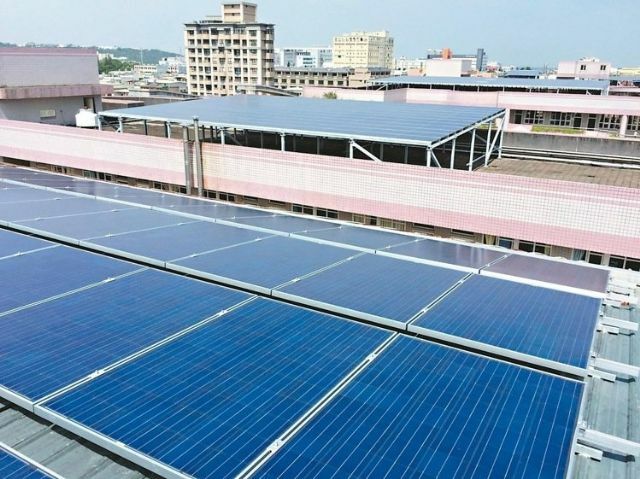 One reason among others the group has decided to boost its photovoltaic business is Taiwan's comparatively underdeveloped market for solar energy. Lee stressed that despite world's second-largest supplier of photovoltaic cells only next to China, Taiwan, however, has trailed not advanced countries, but also emerging nations, such as India and Chile, in terms of numbers of solar power systems installed locally. Under this scenario, Lee opines the Taiwanese market still has large room for growth. Inventec Group's heavier emphasis on the development of its photovoltaic business makes sense, not just because of Taiwan's strong market potential, but due to the buoyant global market. EnergyTrend, a Taiwanese market research firm focusing on the renewable energy segment, forecasts global market demand for solar power generation systems will continue to soar in the years to come. The firm reports that India, Chile and the Philippines have decided to construct such systems with annual capacity of 827 megawatts, 750 megawatts and 134 megawatts, respectively, in the years to come, while ever more Southeast Asian countries have also considered setting up solar power systems for carbon emission and economic development reasons. This will likely pump more growth momentum into Inventec Group's solar energy business.